Our state needed a productive legislative season. … The people of Illinois are paying a perilous price for political failure. We need solutions. We need action. We need leadership that gets things done. Daley served as chief of staff from 2011 to early 2012, a tenure marked by worsening relations between the White House and congressional Democrats. One of Daley’s first setbacks was the failed debt ceiling talks in July 2011, during which many Democrats in Congress turned on President Barack Obama for considering spending cuts. This was compounded by Daley’s failure to secure a joint session of Congress for Obama’s job speech in August, forcing it to be rescheduled. "There was a lot of truth to Daley being bad about outreach to the Hill," the Huffington Post quoted from a top Democratic official. Daley further worsened relations between the White House and Congress when he put part of the blame for the failed debt ceiling negotiations on his fellow Democrats. His solution was for the executive branch to unilaterally push policies without congressional legislation. "On the domestic side, both Democrats and Republicans have really made it very difficult for the president to be anything like a chief executive," Daley said to Politico. "Let’s figure out what we can do [without Congress] and push the envelope on some of these things." 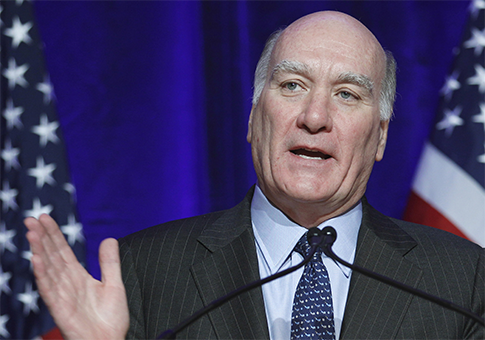 Prior to serving as chief of staff, Daley was co-chair of the Chamber of Commerce’s Commission on the Regulation of Capital Markets in the 21st Century, which heavily lobbied on derivative regulations and consumer protection. Daley also served on the board of Fannie Mae in the 1990s, receiving hundreds of thousands of dollars in compensation. This entry was posted in Politics and tagged Bill Daley, Illinois. Bookmark the permalink.